(Phys.org) —A pair of newly discovered stars is the third-closest star system to the Sun, according to a paper that will be published in Astrophysical Journal Letters. The duo is the closest star system discovered since 1916. 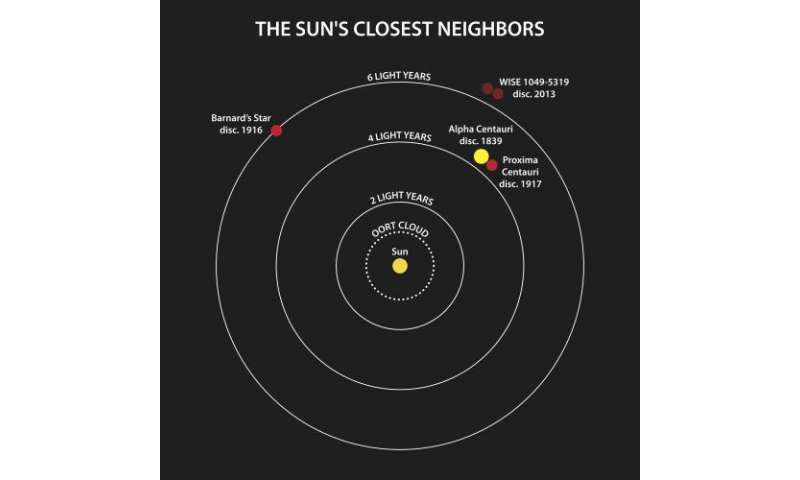 The discovery was made by Kevin Luhman, an associate professor of astronomy and astrophysics at Penn State University and a researcher in Penn State's Center for Exoplanets and Habitable Worlds. 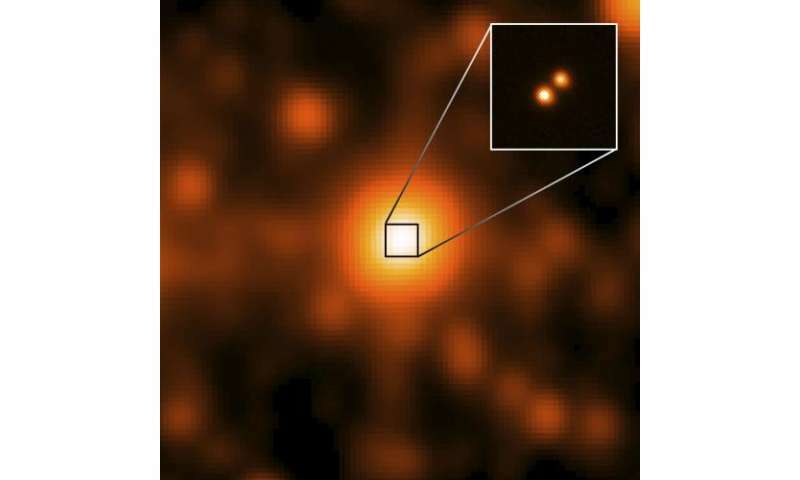 "The distance to this brown dwarf pair is 6.5 light years—so close that Earth's television transmissions from 2006 are now arriving there," Luhman said. "It will be an excellent hunting ground for planets because it is very close to Earth, which makes it a lot easier to see any planets orbiting either of the brown dwarfs." Since it is the third-closest star system, in the distant future it might be one of the first destinations for manned expeditions outside our solar system, Luhman said. To discover the new star system, Luhman studied the images of the sky that the WISE satellite had obtained during a 13-month period ending in 2011. During its mission, WISE observed each point in the sky 2 to 3 times. "In these time-lapse images, I was able to tell that this system was moving very quickly across the sky—which was a big clue that it was probably very close to our solar system," Luhman said. "It was a lot of detective work," Luhman said. "There are billions of infrared points of light across the sky, and the mystery is which one—if any of them—could be a star that is very close to our solar system." Could it be in orbit around the centauri system? In which case it could play the role of Nemesis when it approaches us? Could it be in orbit around the centauri system? Since it is the third-closest star system, in the distant future it might be one of the first destinations for manned expeditions outside our solar system, Luhman said. Several LY further than the Centauri stars and not in the same direction so No it's not in orbit around them. Were these brown dwarfs approaching us it most likely would have been stated it the article, most likely moving away in a random direction. Only found just now? So it's no wonder that they say that they haven't found Nibiru, because it is not even a star. Our television transmissions from 2006 are just arriving there now? So the lucky BSG fans there would not have seen the final series-ending episode yet? Still time to save them from the abomination if we master wormhole communications by the summer! No, it's the third closest measured star system. So it's much further away than even Alpha Centauri. I loled for like 5 minutes. Thank you. It might act as a pit stop. If we send robots and AIs to a hypothetical planet there, they could build more probes and send them to the next "layer" of close stars. BTW it would be cool if we found a brown dwarf equidistant to Sol, Tau Ceti and Epsilon Eridani. It would make a great pit stop. BTW, in which direction is this brown dwarf system? I know it cannor be spotted with a commercially available telescope, but it would be nice to know. I wonder what are the chances to find even closer Brown Dwarf? Is there more to come (and when?) from the WISE data, or was it last one just missed in previose WISE data examinations? If it isn't burning hydrogen, then it isn't a star. This brown dwarf is much closer. 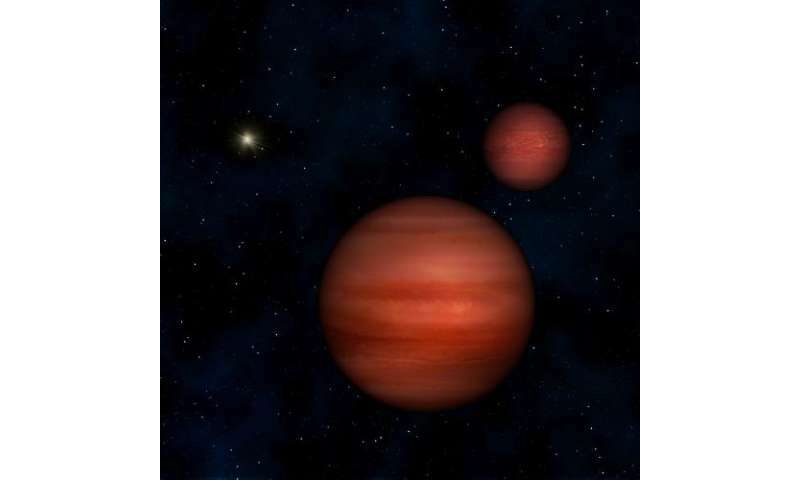 Brown Dwarfs? There may be many more "finds" to come, and there may be few to come, or no more to come from the WISE data. It was such a successful mission that the shear amount of data will keep many astronomers, astrophysicists, and graduate students busy for years and years. Unless it is a nearby "close binary" detecting a brown dwarf is very, very, very serendipitous. In regard to the possibility that this pair is orbiting us or Alpha Centauri, it surely doesn't. The influence of gravity from our solar system only reaches out to about 1.5 lightyears. Any farther than that and the gravity from other sources dominates. Alpha Centauri A-B are about the same combined mass as our solar system, so the same goes for that system as far as the range of gravitational influence. In regard to finding brown dwarves, it is highly likely we will find a few more in our neighborhood since they are thought to be several times more numerous than full fledged stars. In regard to a brown dwarf being the first target of human interstellar travel, that actually makes a good bit of sense. There's likely to be one within reasonable distance, and if they are similar to our own gas giant planets, then they may have habitable moons and magnetic fields.